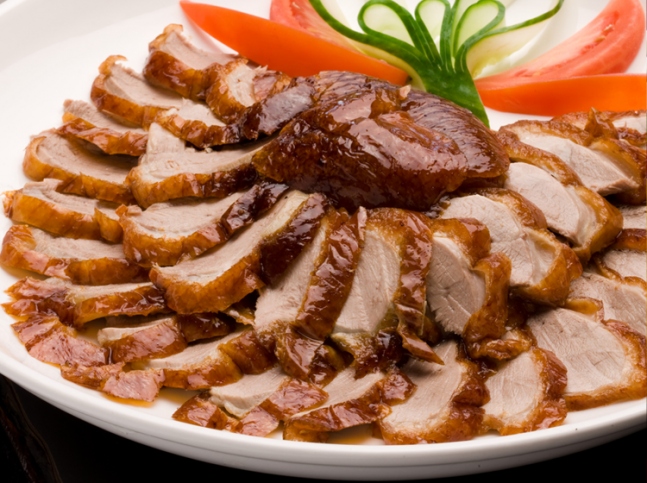 “Man Tong” symbolises the Chinese tradition of having a house full of family and friends when eating and will no doubt be a busy, bustling restaurant and also very interactive for dinners with the noodles and dumplings made in full view of the restaurant, as are the Peking Duck ovens, their speciality. 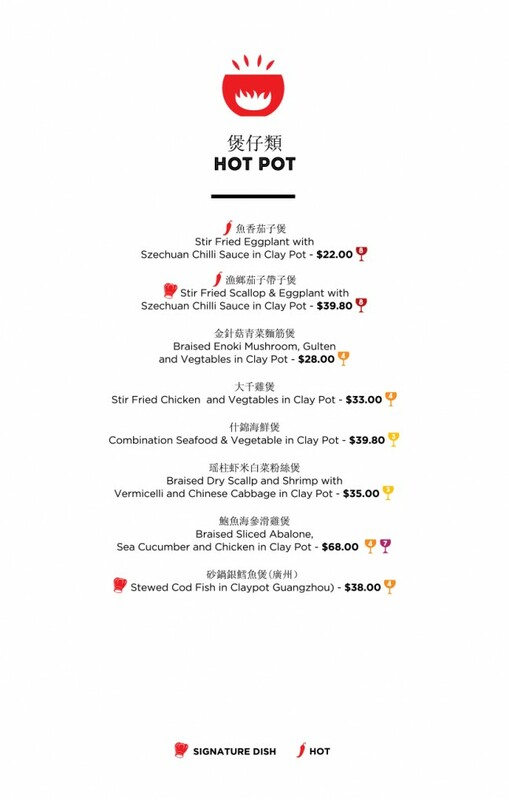 My brief was to bring together the elements of traditional communal dinning and multiple flavours and dishes, often all on the table at once, with the challenge of paring wines. 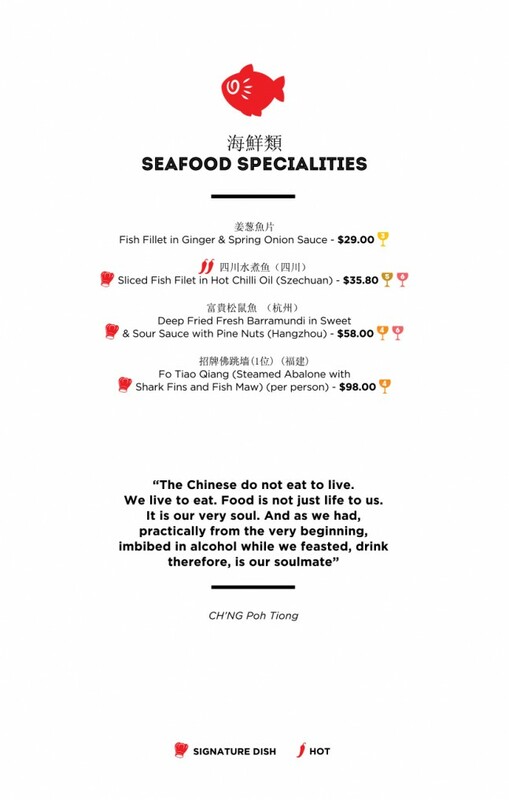 In the knowledge if you follow some basic guidelines, wine goes extremely well with most Chinese cuisines; my approach was to isolate the dishes in terms of flavour, texture and regional cuisine influences. 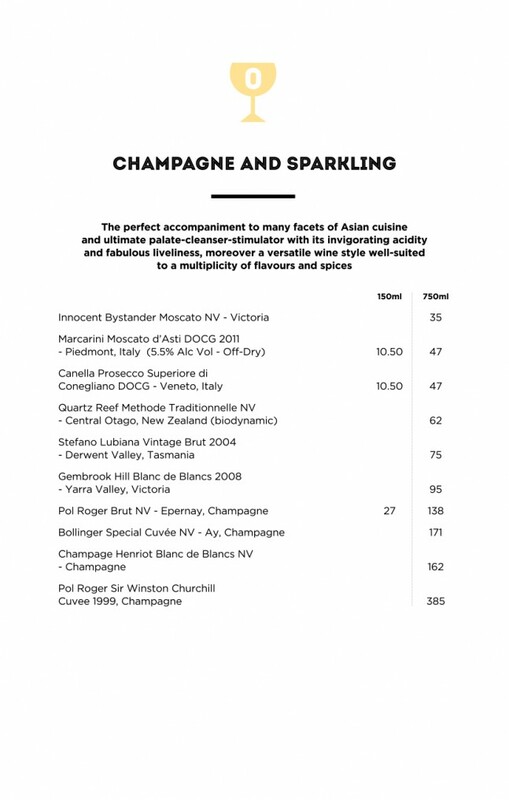 We then innovatively formatted the wine selection into sub-groups that are defined by texture, flavour and suitability to the specific elements of taste and texture sensations in each dish. 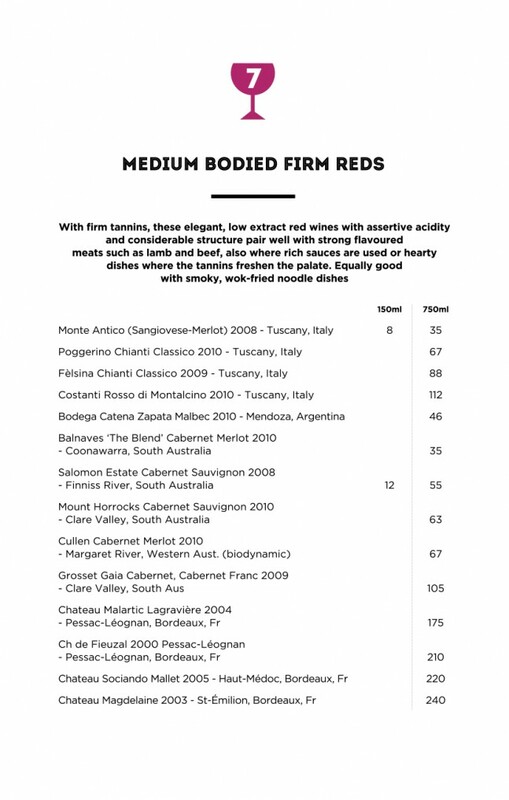 We also invented our own colour and number coded system for these sub-groups using a glass symbol indicating a suggested wine pairing for each dish, enhanced by having numerous wines available by the glass so the dinners can experiment with pairings. 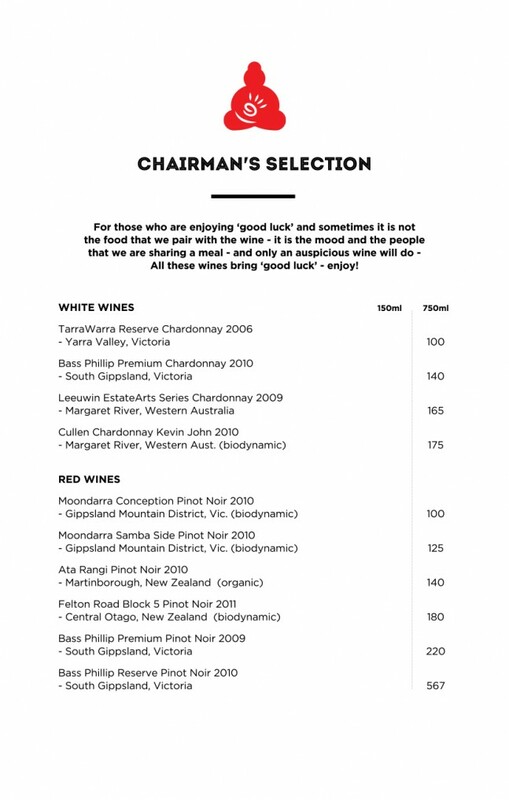 Another unique feature is combing the food menu and wine selection in one document with dishes on the left-hand side and the relative wine sub-groups on the right-hand side bringing all these facets together and ensuring that wine becomes much more interactive with the dining experience. 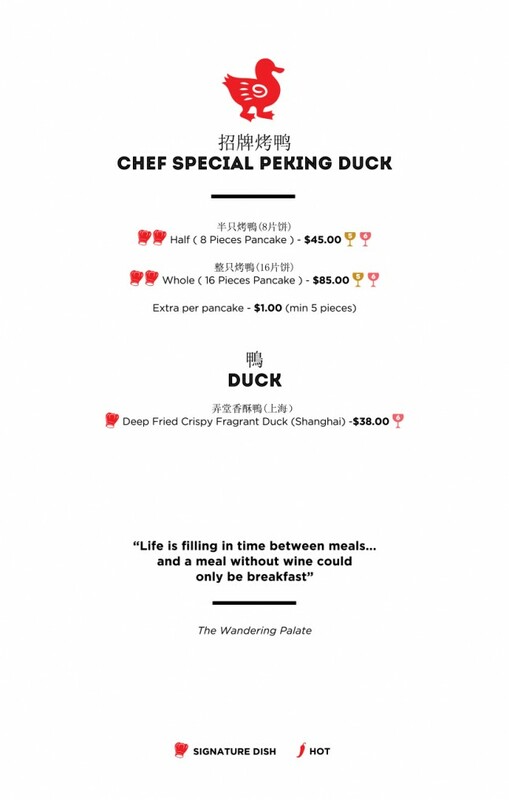 As challenging as it was, I had a lot fun with this project, all made possible by our dynamic-thinking, proprietor, Jeff Xu, and the creative talents of Andrew Paoli, Art Director at Paoli Smith www.paolismith.com.au, and his team who pulled a few rabbits out of the hat to get this all completed within a seemingly impossible deadline. 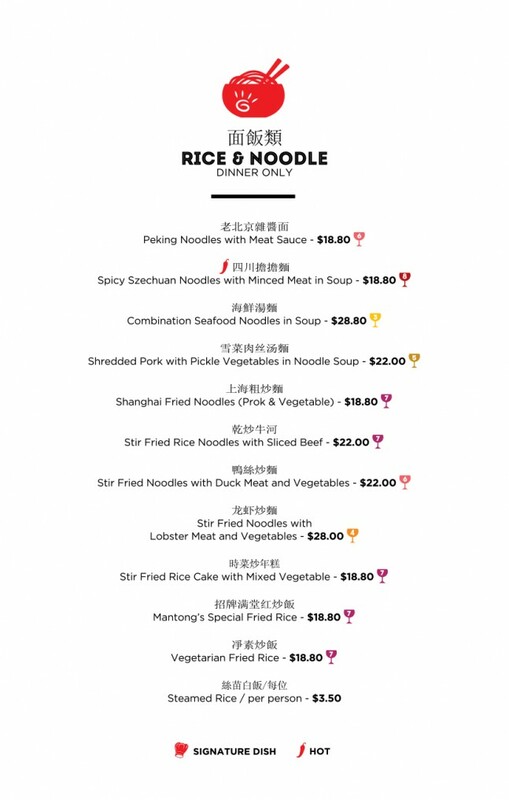 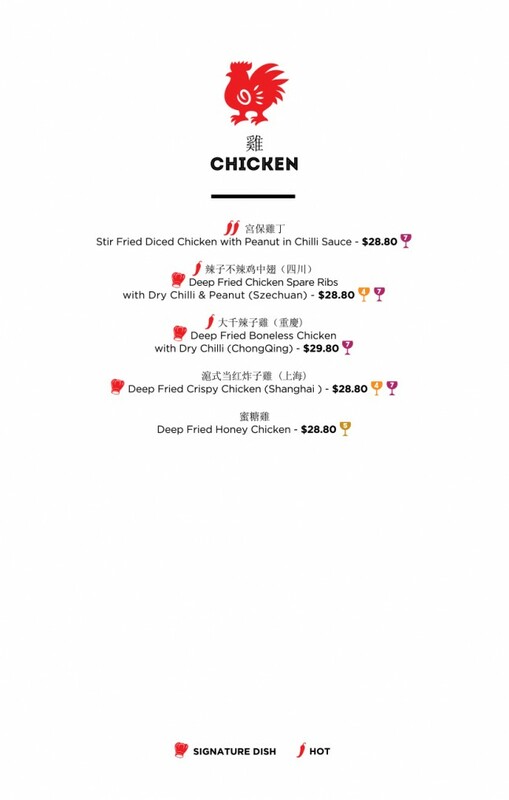 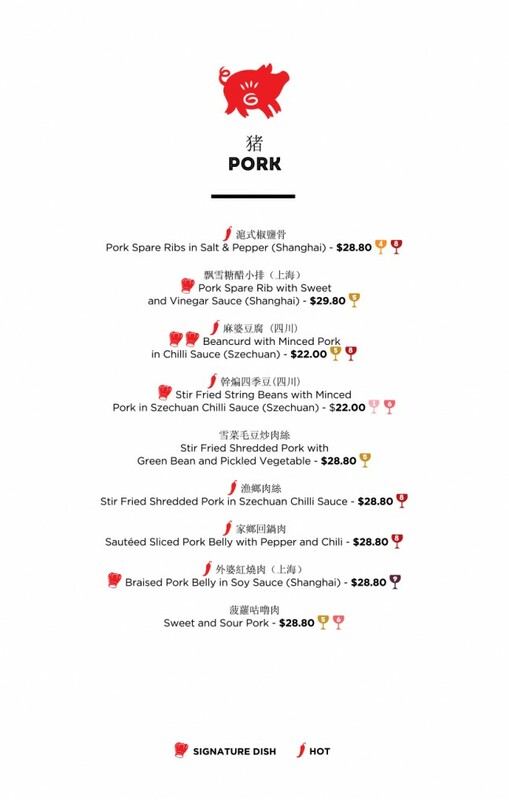 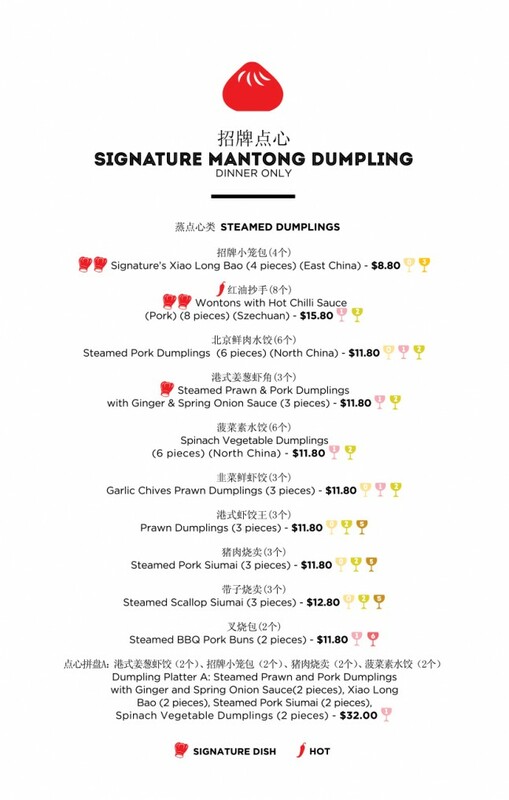 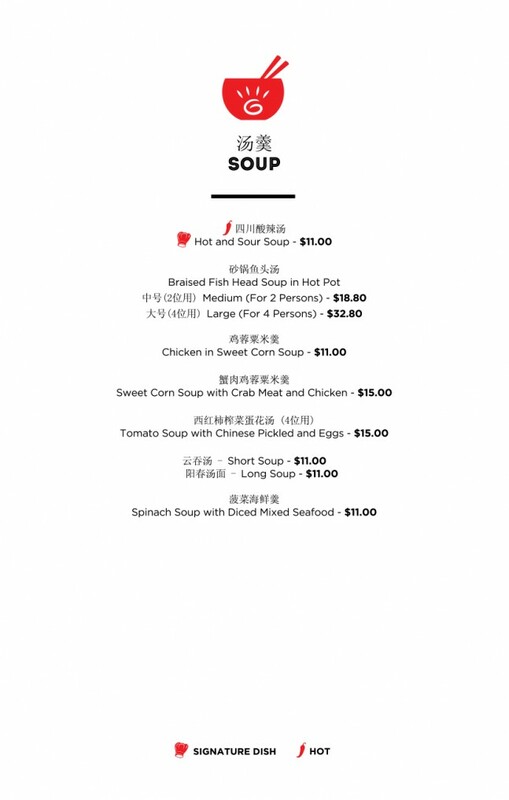 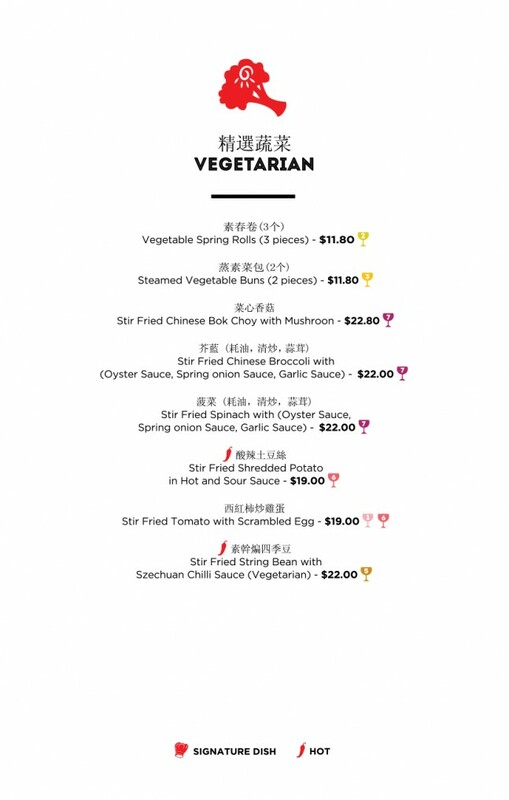 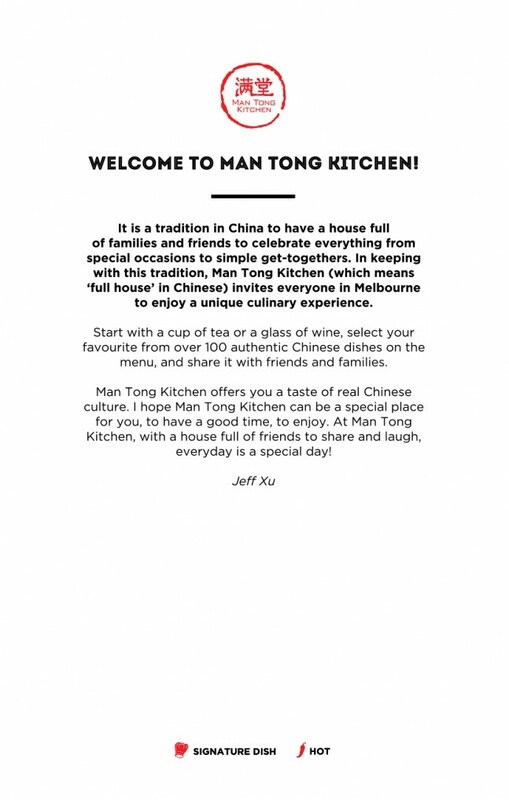 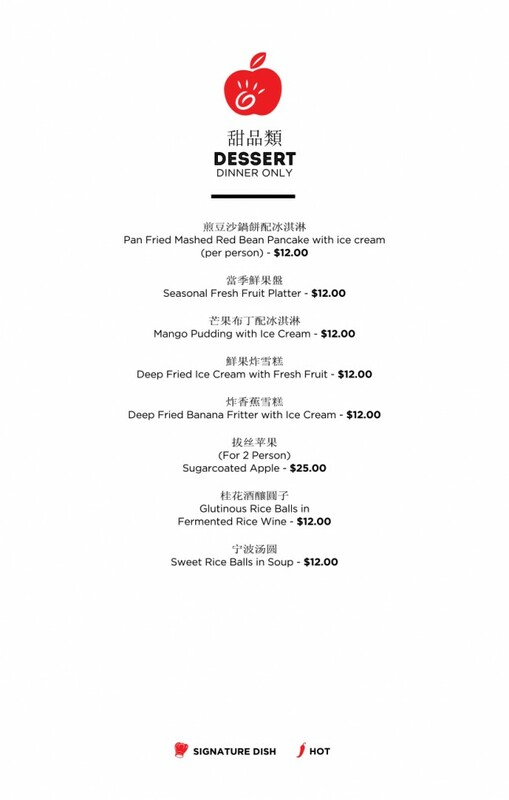 Jeff Xu is at the forefront of Chinese cuisine in Melbourne having established Hutong Dumpling Bar http://www.hutong.com.au/ in Market Street, CBD and Commercial Rd, Prahran, their dumplings selected as one of the 20 Iconic Melbourne Dishes by the Age Epicure. 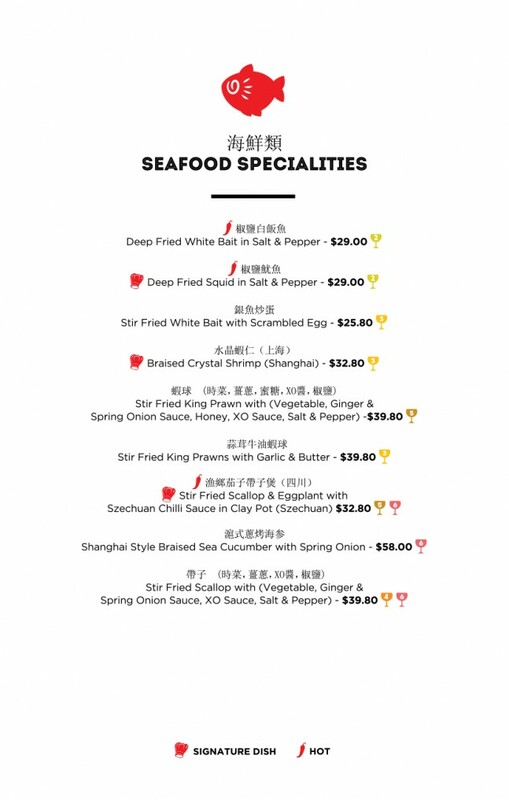 Jeff also owns China Red in Bourke Street, www.china-red.com.au and Spicy Fish in Little Bourke Street. 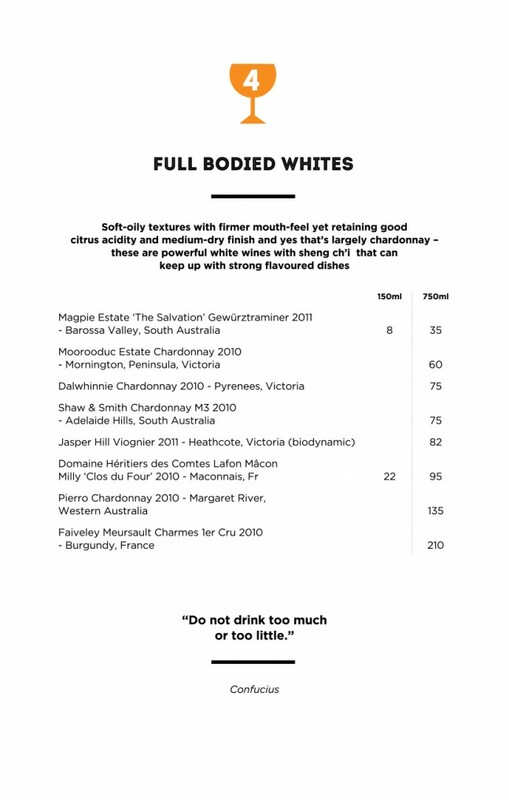 The Wandering Palate will be reviewing the wine selections at all these venues as well is due course. 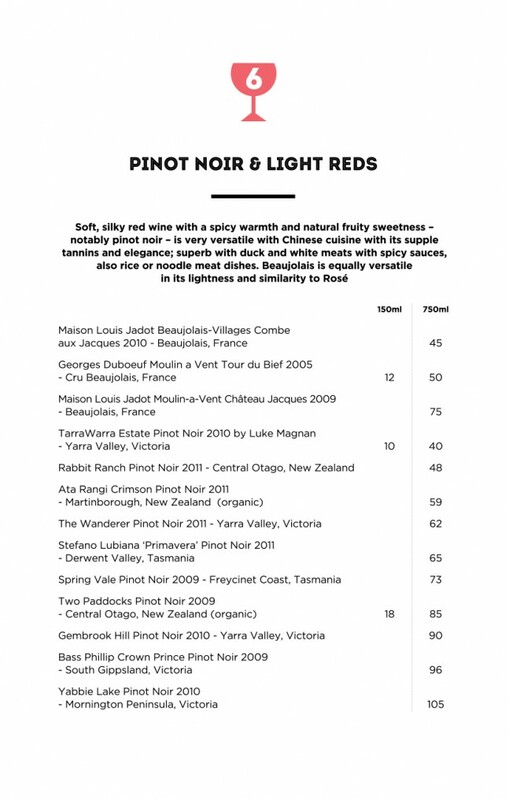 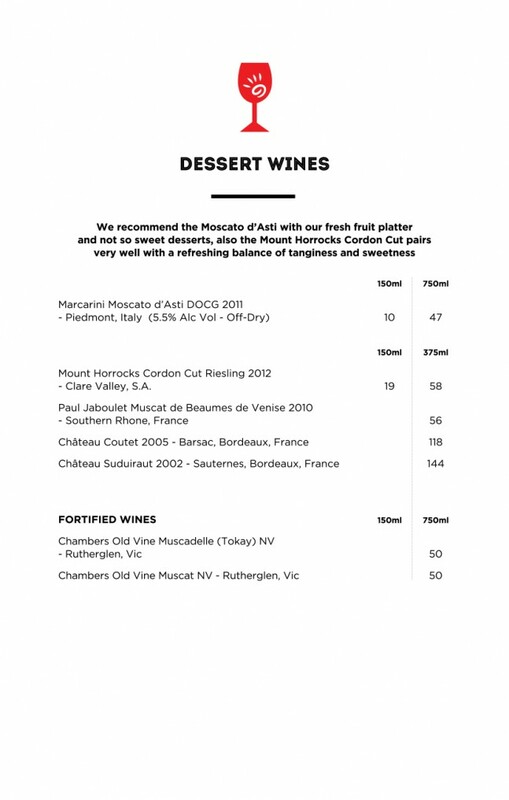 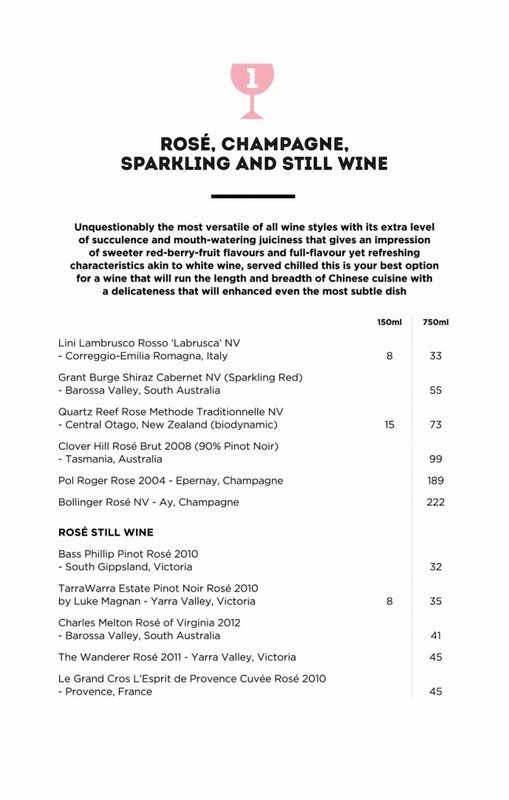 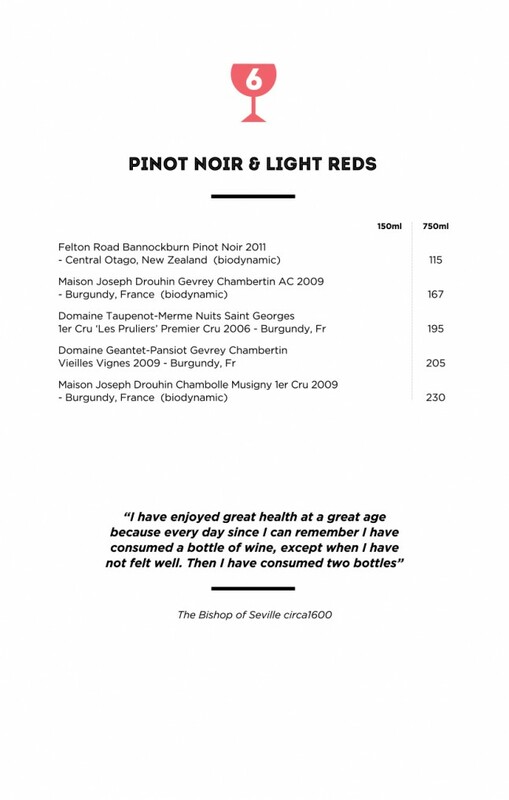 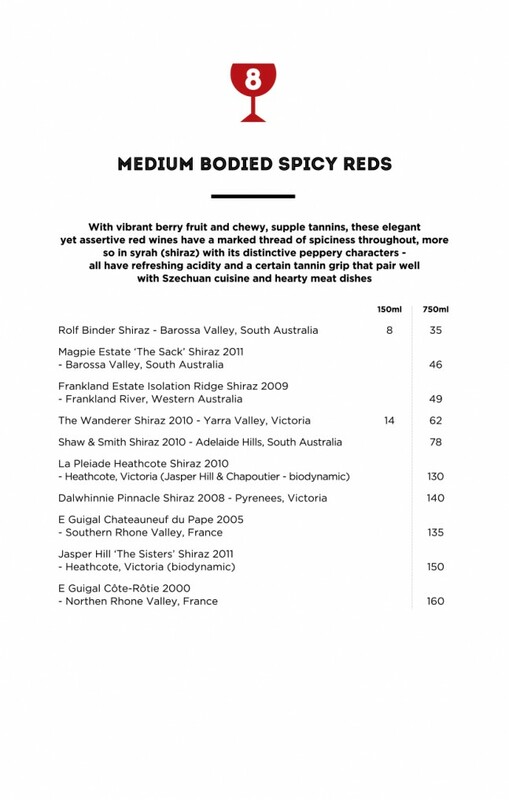 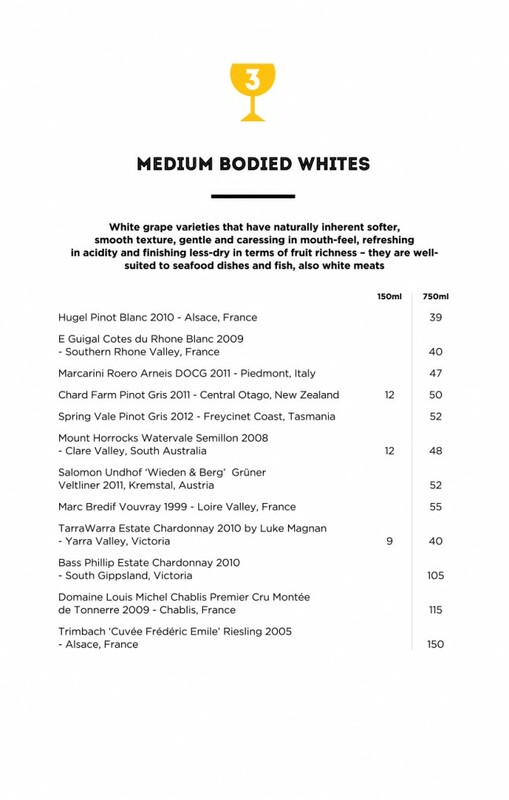 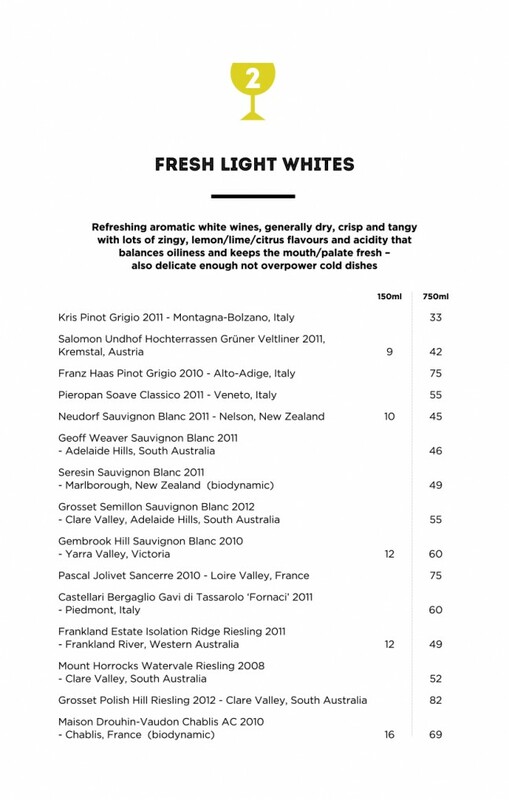 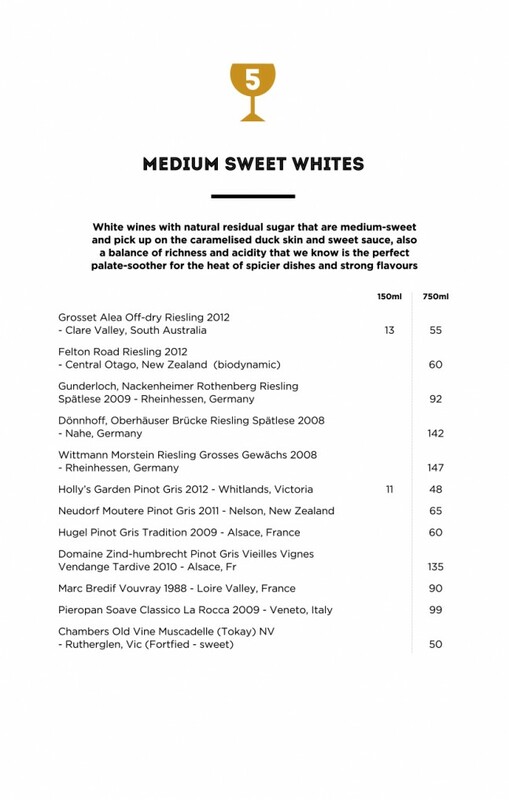 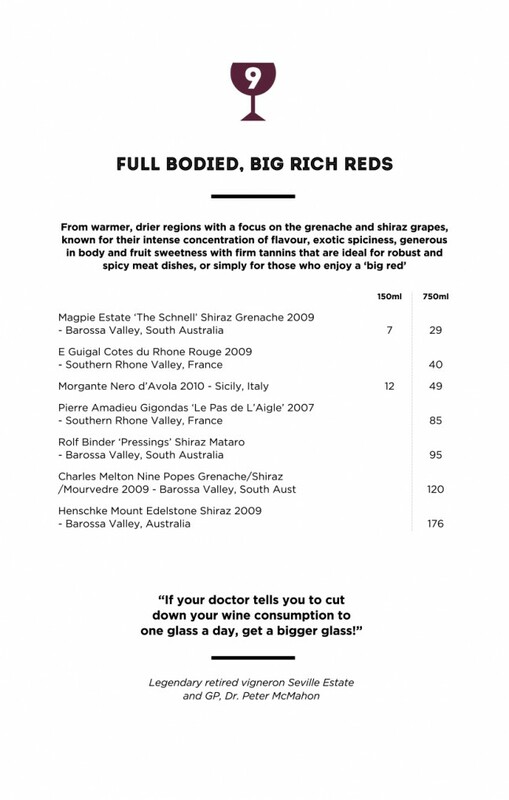 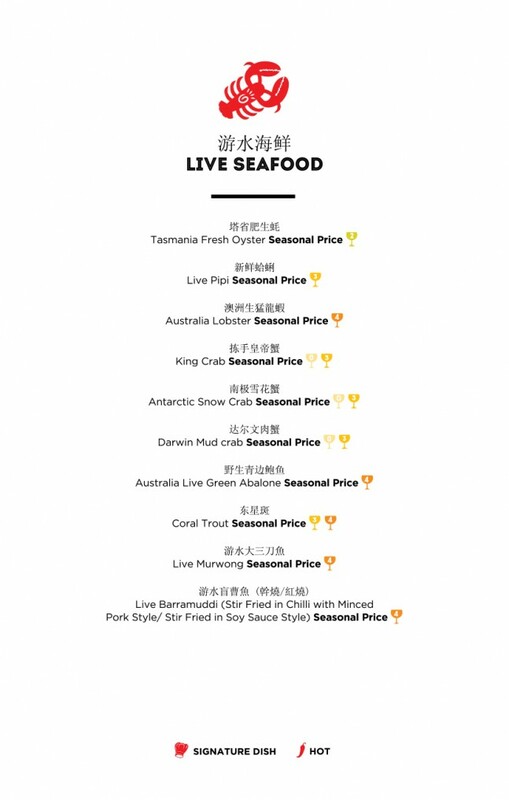 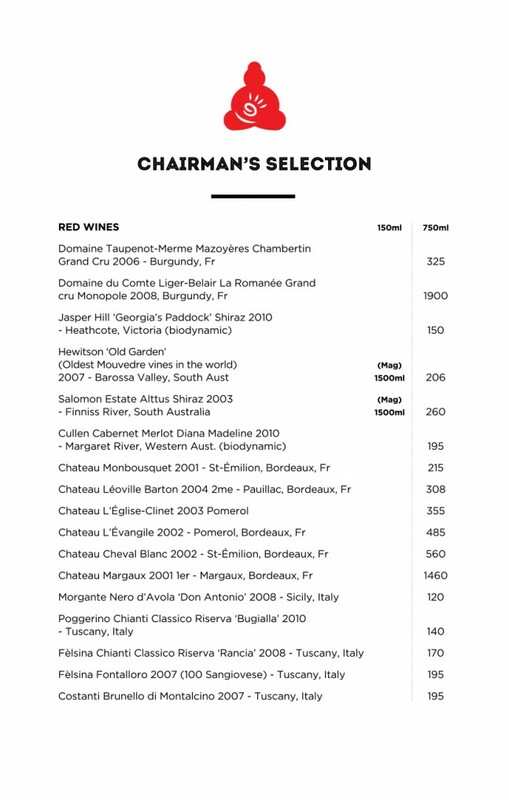 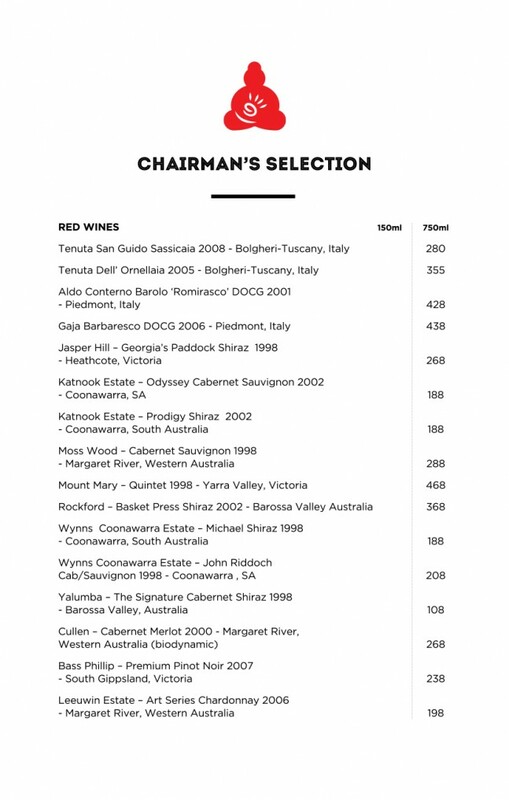 Below are the wine list and menu – due to the formatting of this website, it could not display with food on left and wine on right, but you will get a good idea by scrolling through. 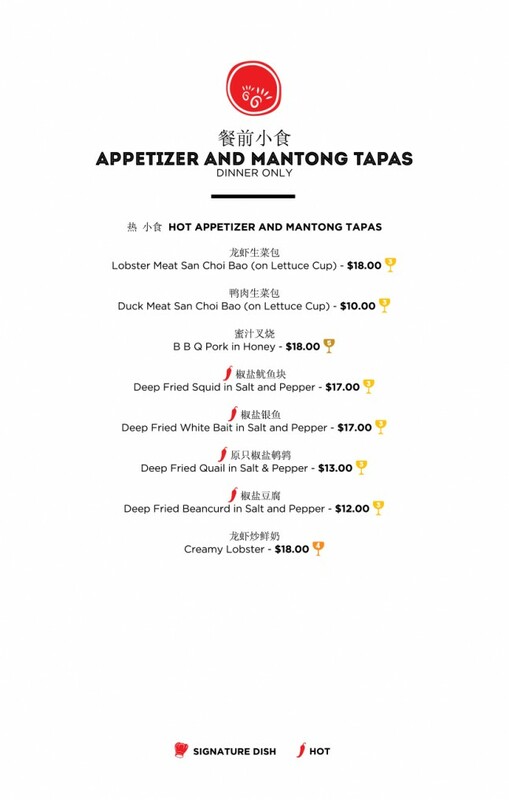 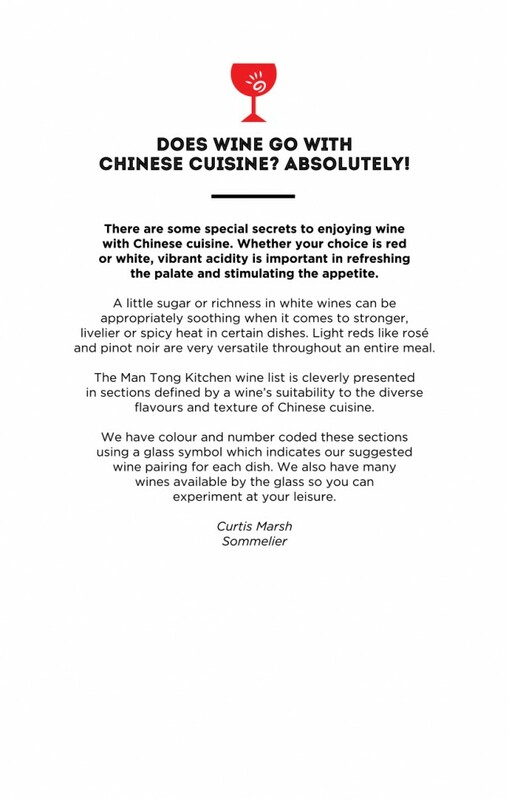 I hope you visit Man Tong Kitchen and exercise your palate and wine pairing experiments.